by The Virtual Conservatory (December 2009). 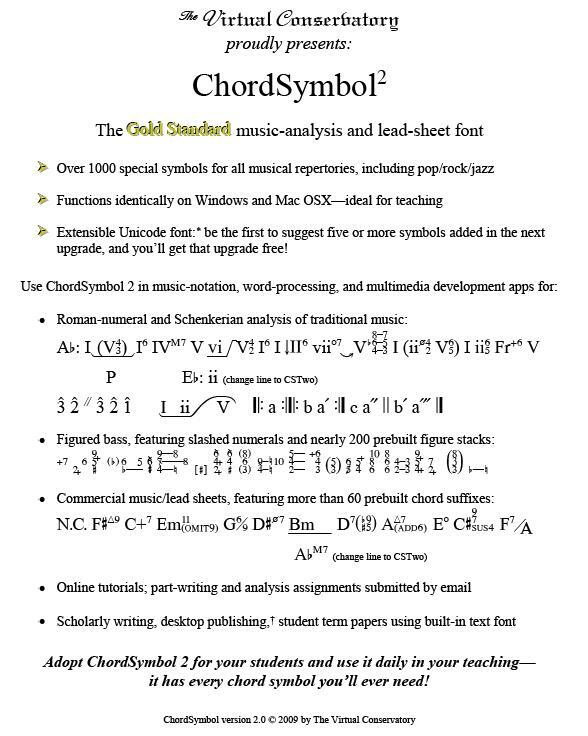 Unicode/TrueType font for chord symbols, music analysis and lead sheets. Functions identically on Windows and Mac. Use in music notation, word processing and multimedia programs. Use for analysis, figured bass, lead sheets. Over 400 prebuilt chord suffixes. TrueType font for Finale, Unicode for Sibelius. Our price: $85.00 plus FREE shipping by email.